For many new agents (or seasoned agents who are in between listings) hosting an open house for a colleague can be a great way to meet new clients and get your name out there. 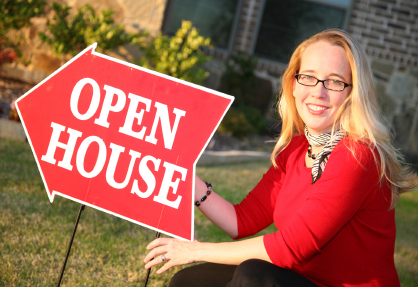 Practices on holding an open house for someone else’s listing vary. Some offices offer a flat fee to the agent holding the open house, and others allow the agent to claim the leads or client contacts made that day. If you’re a motivated agent looking to expand your client network, follow these steps to "borrow" a listing for your next open house. 1. Learn the ropes. Look into your office's rules or policies for hosting an open house for one of your associates. Familiarize yourself with the requirements and correct etiquette before approaching your colleagues about their listings. 2. Get permission. Most of us know someone who’s absolutely swamped. Busier agents may be eternally grateful to you for offering to hold an open when they’re pressed for time. Other agents just aren’t fond of open houses. Find someone who might benefit from your offer and ask for their permission to hold an open house for their listing. 3. Create your marketing. Once you’ve scheduled the open house, begin creating your marketing materials. This should be done with the collaboration and permission of the listing agent. Most agents are willing to let you put your name on the marketing materials as long as you foot the bill. Try creating a flyer, open house postcard, or biz-prop card that says “Listed by: [Listing agent’s name]. Presented to you today by: [Your name]”. 4. Think OPEN. Now you’re ready to advertise! Use our OPEN acronym (Online, Print, Email, and Newsletter) to help you remember where to announce your open house. Holding frequent open houses is a fantastic way to meet clients, grow your business, and help increase community familiarity with your brand. As long as you’re properly prepared, you may find that borrowing another agent’s listing for your open house has an enormous impact on your career! Don't forget to use LookyLeads.com to register the visitors to your open house, and turn those Looky Loos into Leads! You don't have to be an ePS member to use LookyLeads.com, but if you are, it will send a text message with your info and property info to their phone, and automatically record them into the feedback system and send them a feedback request.